Visit the Peachtree Street website! 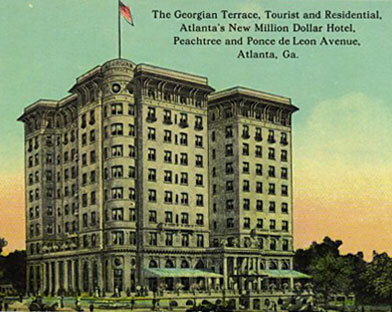 In our back yards and around the world "Peachtree Street" means "Atlanta." Over the years, the city's 37-mile Main Street has tied the town together – starting at the city jail, following a ridge north through downtown and Midtown to Buckhead, where it curves northeast to Doraville and Chamblee, to cross Gwinnett County to the Hall County line! Peachtree Street is a thread running through family histories, a path through our past. Each mile can tell stories of triumph and tragedy, of major events that changed the course of history and of minor events that are cherished in memories of Atlantans. But as Atlanta rushes into tomorrow, Peachtree's rich history is disappearing. Until now.